A railway connected Muir of Ord and Fortrose between 1894 and 1960, with stops at Redcastle, Allangrange, Munlochy and Avoch. It closed to passengers in 1951, and then altogether in 1960. 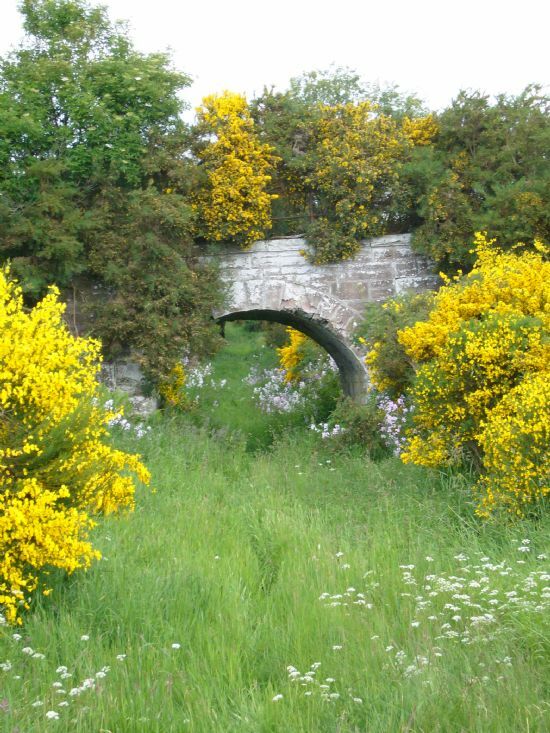 Today only remnants can be seen: bridges as in this case near Tore, embankments including well preserved sections near Tore and Munlochy Bay, stations converted to other uses such as at Redcastle, and station houses such as at Fortrose. Another railway was planned for the northern side of the Black Isle in the late 1800s, linking Conon Bridge to Cromarty. Construction began in the first decade of the 20th century, but by 1914 only 6 miles of track had been laid near Cromarty, and several bridges constructed. War intervened, and the track was lifted, and the project never resumed. Throughout the Highlands there are many remnants of now-closed lines. Some have been converted to other uses, including bike paths, but others are only preserved in small sections. A number of other routes were also proposed, including branch lines from Achnasheen to Poolewe. Highland Railway Society Good website with information, photographs and links to a number of publications. A History of Britain’s Railways. With details of many routes. The Muir of Ord to Fortrose section is described here. Ross, David 2010. The Highland Railway (rev. ed).